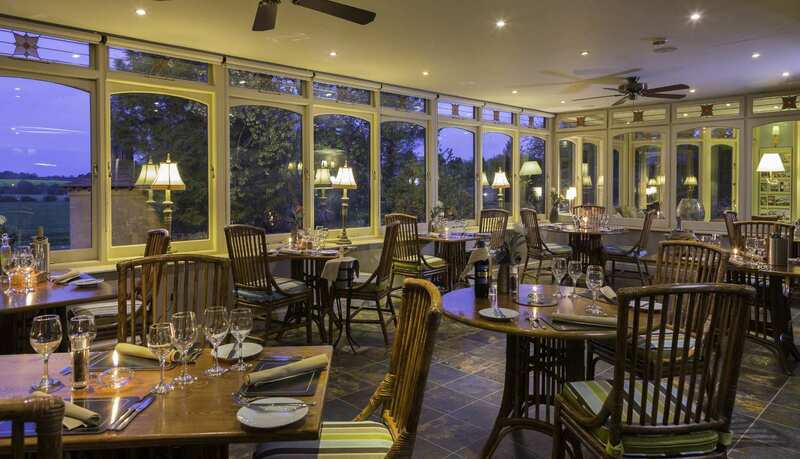 You don't have to be staying at Sysonby Knoll Hotel to dine in our restaurant. 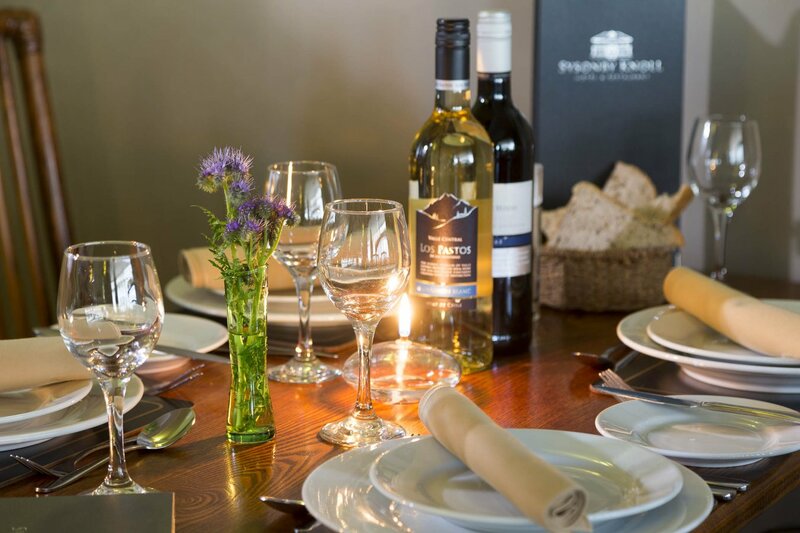 Whether you are looking for a quick "lunch hour" meal, formal evening dining, a larger celebration or a traditional Sunday Lunch we are certain that you will be delighted with our food, atmosphere and service. All of our dishes including puddings are freshly prepared by our team of Chefs, using seasonal ingredients sourced from local suppliers where possible. 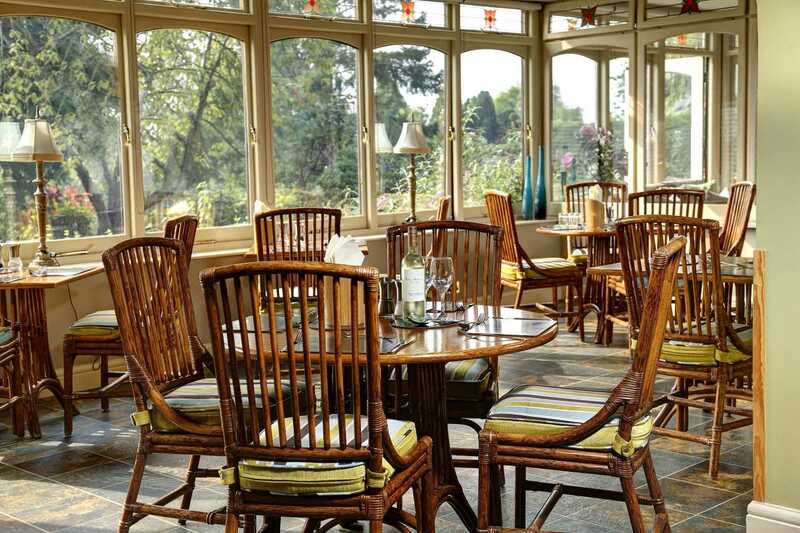 Our Conservatory style restaurant in Leicestershire has been designed to provide an informal welcoming atmosphere, flooded with natural daylight from big windows with superb views over the River Eye and Melton Mowbray. Our menus change regularly throughout the year and copies of the current menus can be downloaded using the links on the left. Special menus are available for larger parties and we are more than happy to amend these if you wish for something different. Food is served at lunchtime from 12.00pm to 1.45pm except Saturdays and in the evening from 7.00pm to 9.00pm except Sundays. If you are resident at the hotel, light snacks are available on Saturday lunchtime and a special menu is available from 7.00pm to 8.30pm on Sundays. Looking for a gift idea? Why not purchase a gift voucher? These can be made out for any amount you like and are valid for 6 months from the date of purchase.